Qzaap Refer and Earn :Hello Guys We are back with another refer and earn offer . Qzaap provides questions to be answered by the users by simple left/right swipes on the phone screen. The Question page has a Question image, Question Text and buttons to answer the question. You can also swipe right to answer with an “Yes”, A left swipe will record the answer as “No”. Once the answer is submitted, you will see the answer page. The answer page consists of the correct answer with image and answer text. Each correct answer adds 10 points to your score and each incorrect answer reduces 5 points from the total. 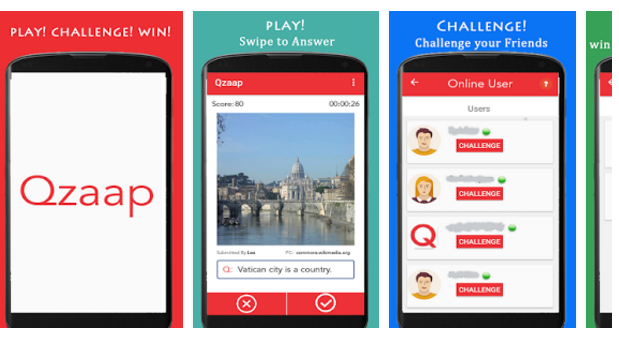 Tap on the answer screen to get the next questions. 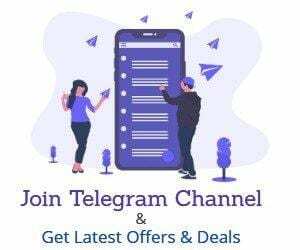 Qzaap Running refer and earn offer . You will get 2500 points on signup + 2500 points for each referral .You can redeem your earnings in paytm cash . Download Qzaap App From playstore . After downloading install and give permissions . Now Signup using Facebook or Google (I recommend to use Facebook Google may give errors. Now Put Refer Code : OQI2JL On entering Refer code you will get 2500 points . Now go to leader board to check your points . here you will found Redeem option . click on “Refer And Earn”. Now Copy Your Refer Code From here. when your Friend download from your refer code he will get 2500 points and you will get 2500 points .